Upholstered light grey cushions and a pale poly rattan base make the Cordon modular garden sofa a great choice when it comes to styling your great outdoors. 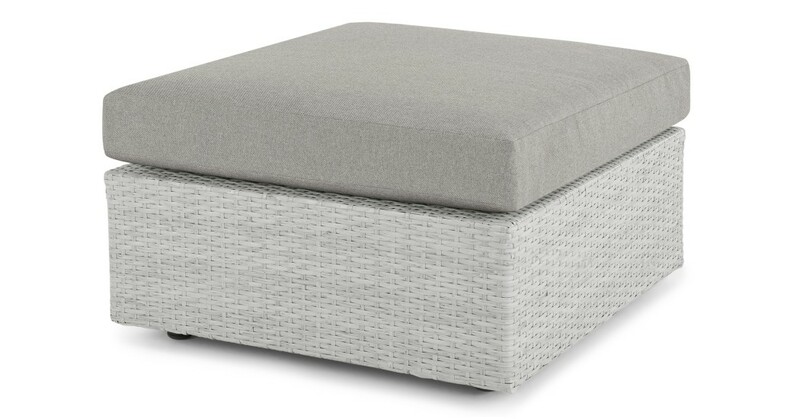 This ottoman piece is part of a bigger set – combine it with other modular pieces from the Cordon collection to create a garden sofa that suits the shape of your space. The Cordon modular garden collection was designed in-house by our London-based design team, MADE Studio. They've covered comfort as well as style.